She's nobody's prisoner...and he's nobody's fool. Laird David Campbell thought Lady Isabelle was going to be easy to handle and profitable too. He never imagined he'd have such a hard time keeping one enticing English countess out of trouble. And out of his heart. Amanda Forester works as a psychology clinical researcher and a university instructor. 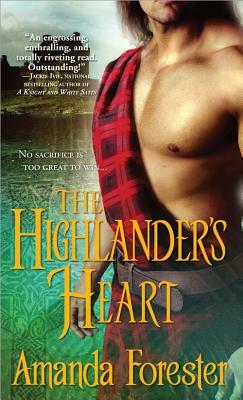 She is the author of The Highlander's Sword and is working on the third in her Scottish medieval romance trilogy. Amanda lives with her officer and gentleman husband and their two children in the Pacific Northwest.